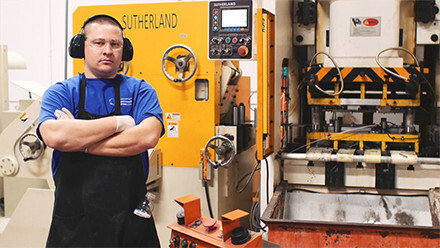 Sutherland’s SERVO FORMING presses offer outstanding energy efficiency compared to similar mechanical presses. Unlike traditional variable angle pump displacement presses, servo forming hydraulic presses can dynamically adjust the tonnage from 10% to 100% at any point during the stroke cycle, allowing for efficient yet flexible forming. 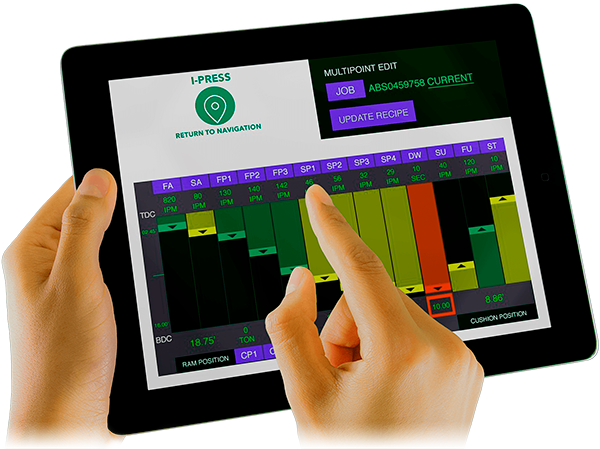 With the on-board I-PRESS HYDRO control and our Multi-Point Edit screen, you can adjust speeds, distances, pressures and dwell time throughout the stroke. 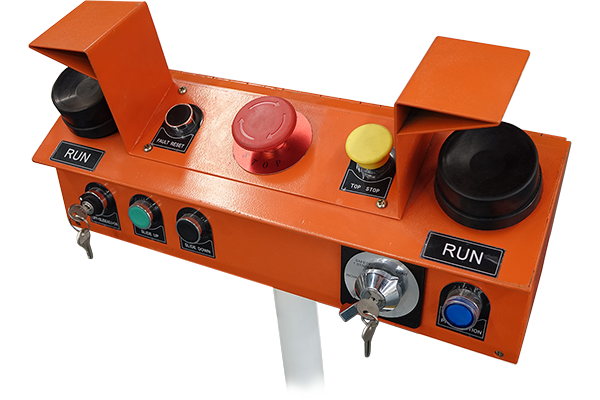 For less complex jobs users can select our Single Point Edit screen for fast set ups. 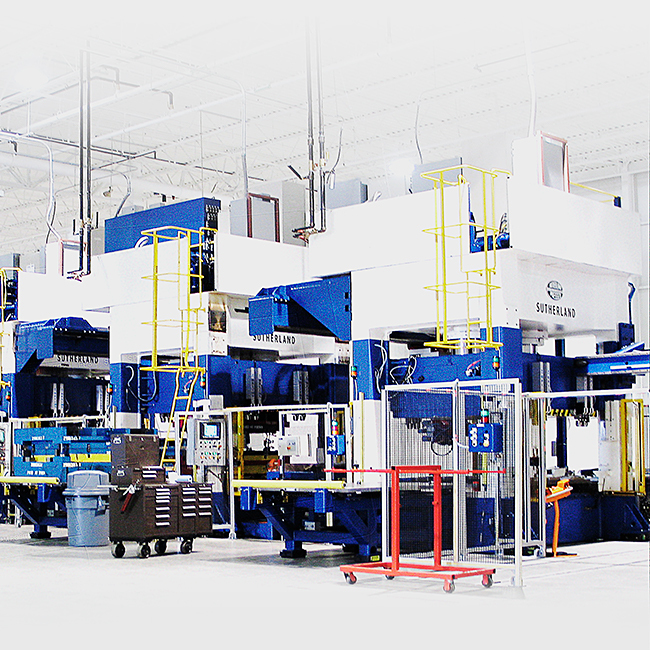 Servo Forming presses can be used for many applications, from blanking, forming, deep draw, transfer and composite forming. A specialist will contact you within 24 hours to assist.